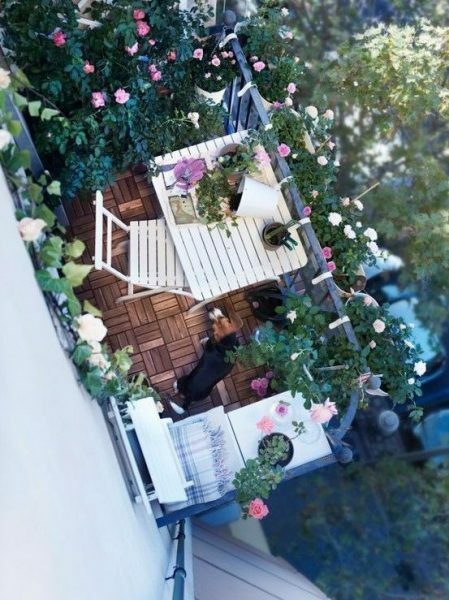 Many people who live in the world’s of metropolitan city often don’t have luxury for enjoying the sun and fresh air in the garden. 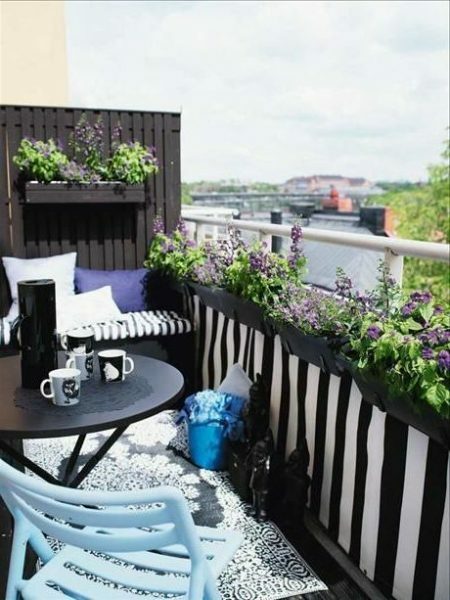 On most metropolitan people, the balcony may be the only available outdoor place where you can enjoy some fresh and natural air. 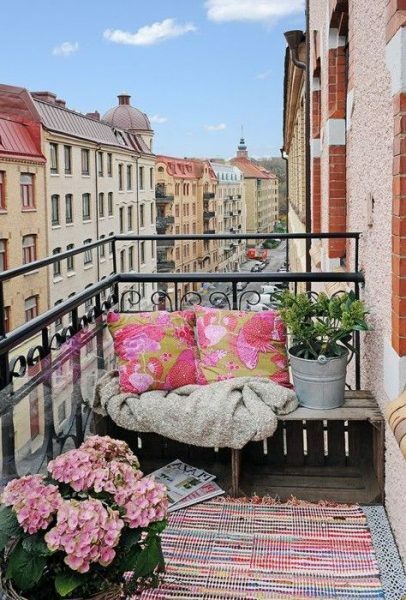 Don’t get caught up in the mindset that your balcony is too small to enjoy. 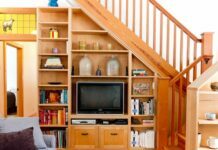 Believe me, maximizing your small spaces doesn’t have to be difficult. 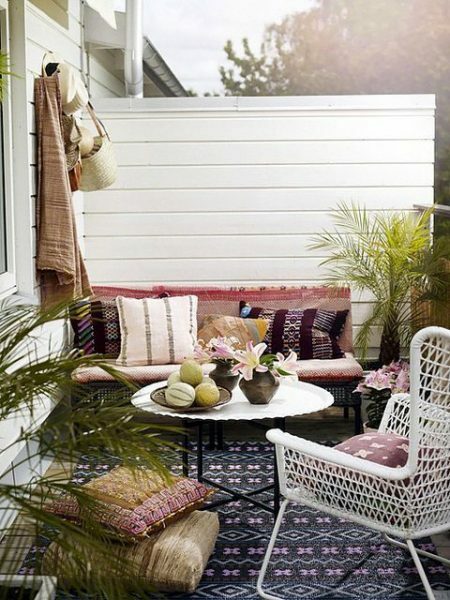 With some bold and creative ideas, you can have a tiny outdoor oasis that full of life. 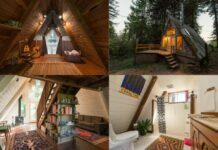 So how to make it? 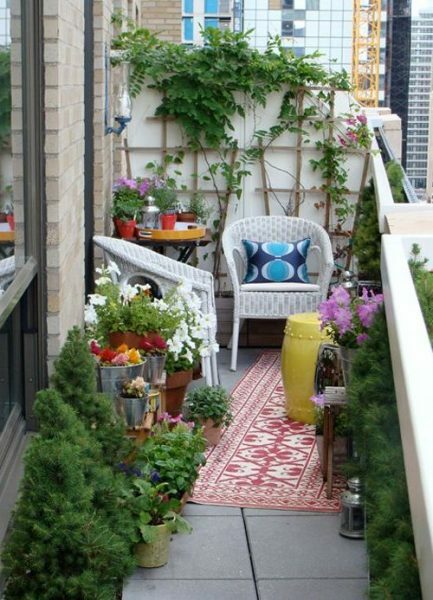 The key to creating an amazing and refreshing balcony are plants and flowers. 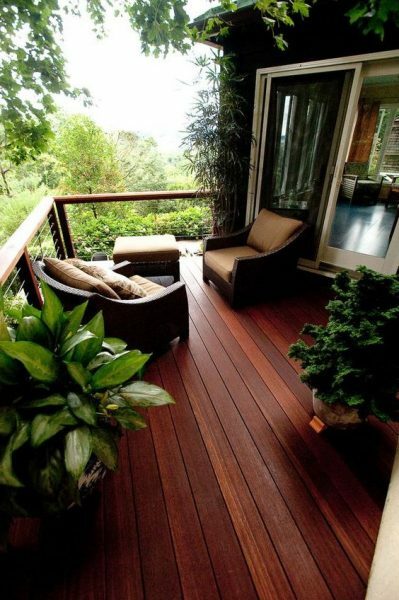 Your balcony will radiate natural beauty that reinforces the wonder of spending time in nature . 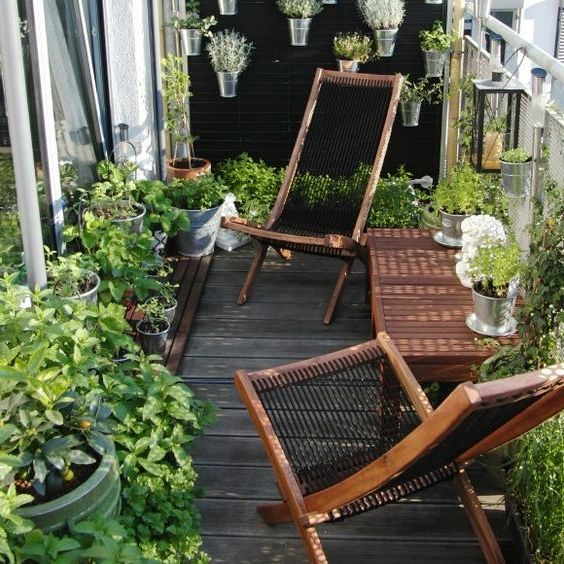 Below we see a collection of grass floors and potted plants on a small balcony. 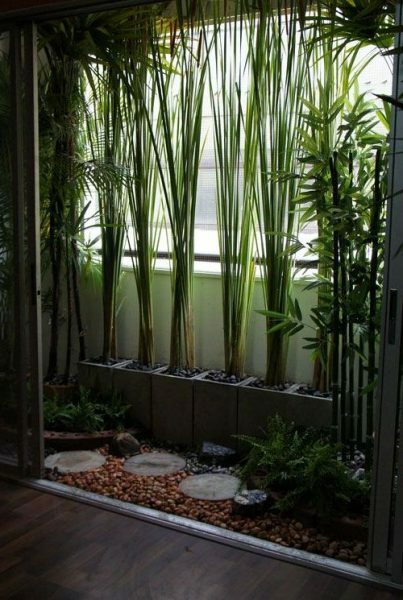 Not only do plants add an element of privacy, they bring a sense of color and depth to the space. 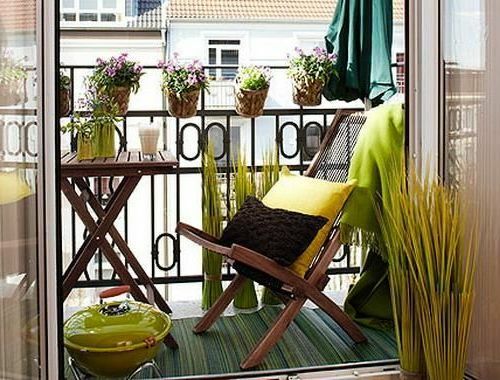 The green living curtain. 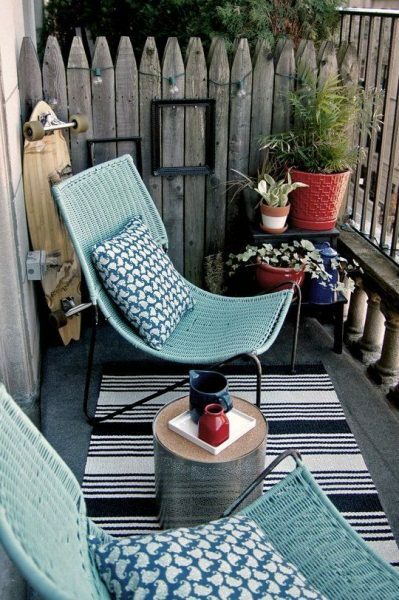 Bring fresh look even on limited spaces. Love the floor detail, stone overlay and also the log path. 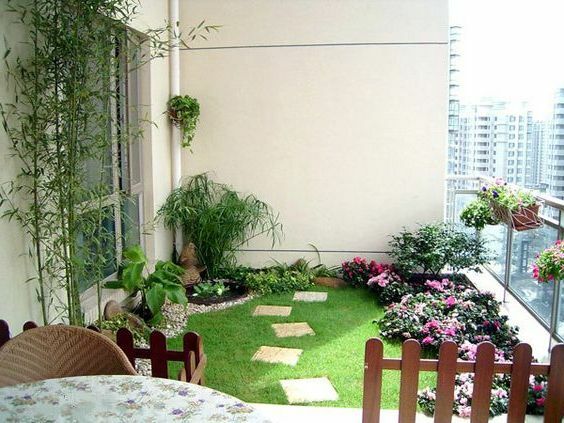 Tiers of plants, hanging planting container and synthetic/real grass make barren balcony into decent garden. 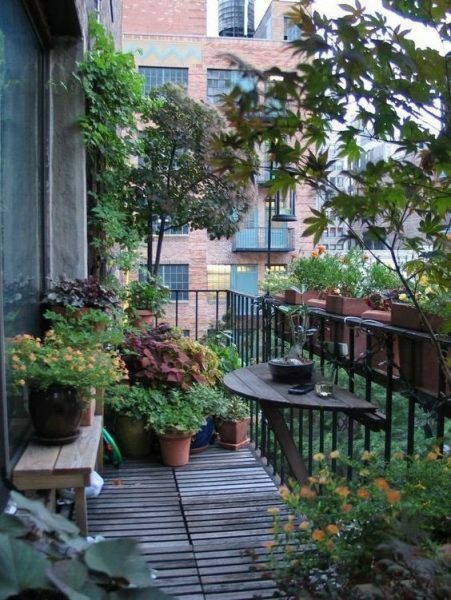 Then again, why shouldn’t your balcony be its own decadent garden?! 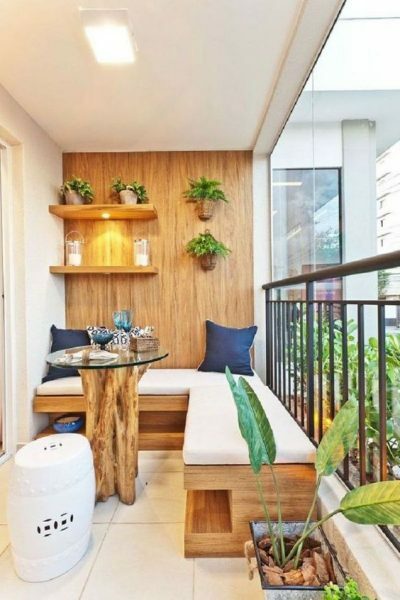 Lush flowers, vertical pot, magnificent water features as well as comfortable garden benches and table can make your small balcony garden even more lively. 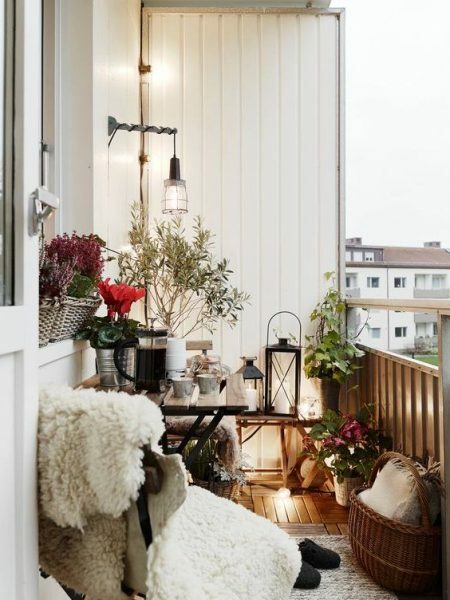 Whether you live in an apartment with a tiny balcony or you reside in a home with a compact second floor outdoor space, The picture below will give you a slew of balcony ideas for you try out on your own. 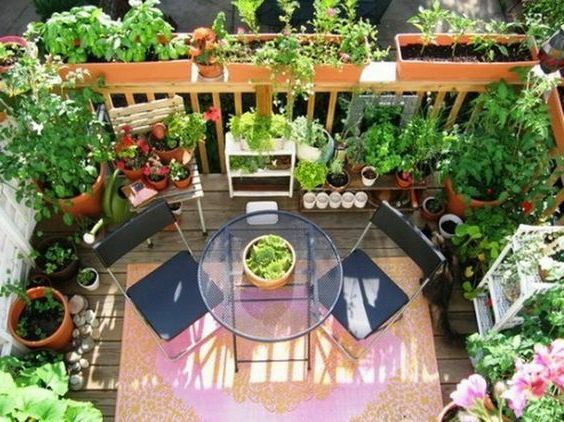 Just a few carefully selected plants can make a big change. 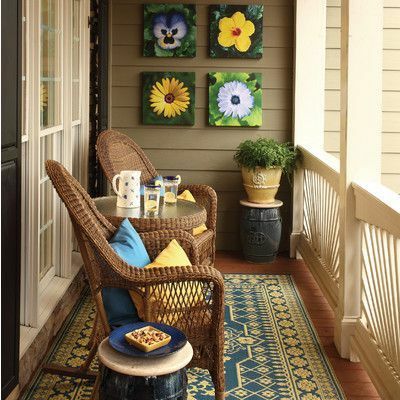 In the image below we can see plenty of colorful flowers adorn the whole balcony. 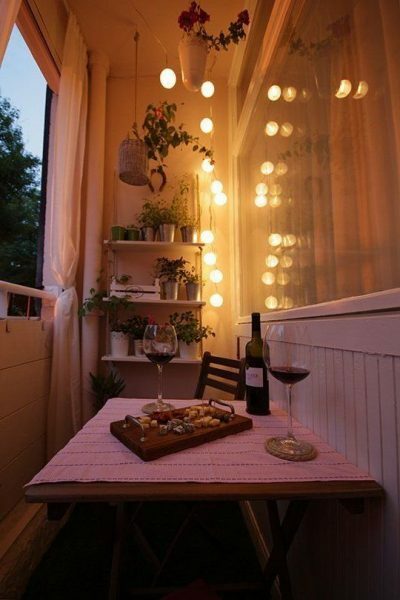 Who wouldn’t want to savor some great food and refreshing drinks on the balcony above ? 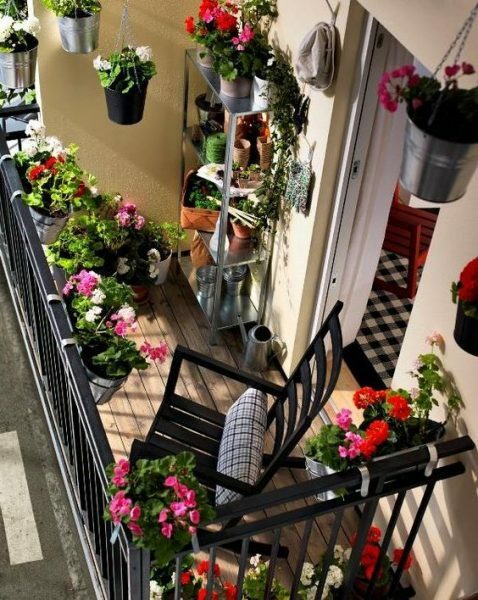 Did you know that you can implemented the same amount of design detail on the ground garden into balcony? (look the image below) ? 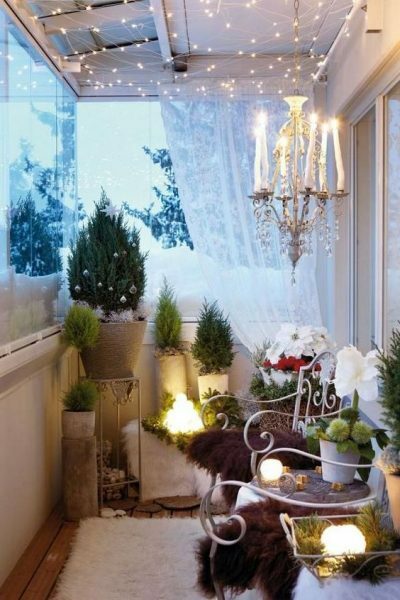 It’s all about arrangement and wisely furniture picks. 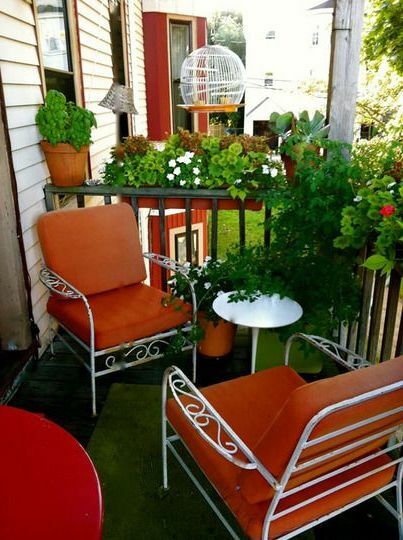 You can create beautiful breakfast nook that surrounded by lovely plants and flowers. My most favorite of all on this section list. 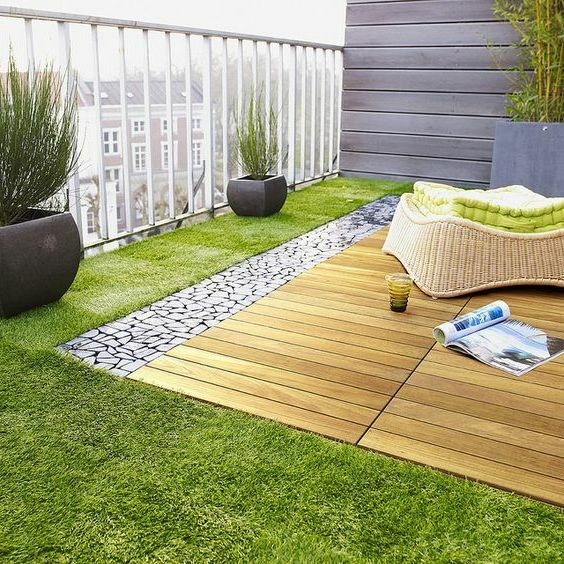 The design blend together and fully collaborate with the environmet nearby. 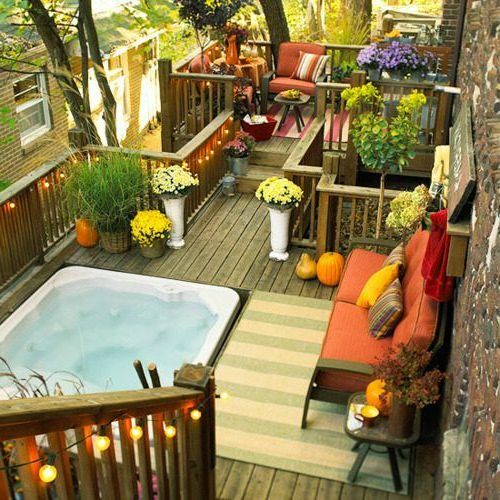 Refreshing and full of peace balcony ideas. More furniture and plants are sets in place, but what about the rest? 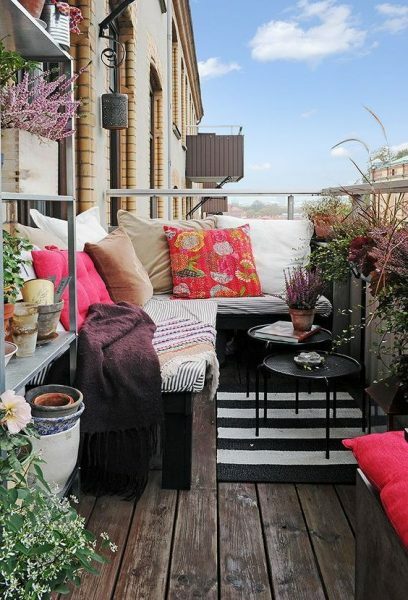 Don’t you want to killing time on your balcony with more pleasure? Right! 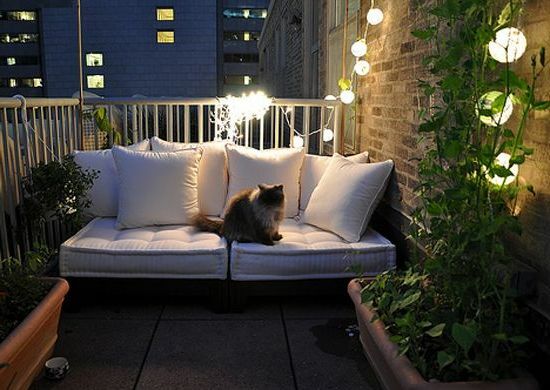 you need some comfy seating in order to truly sit back and relax! 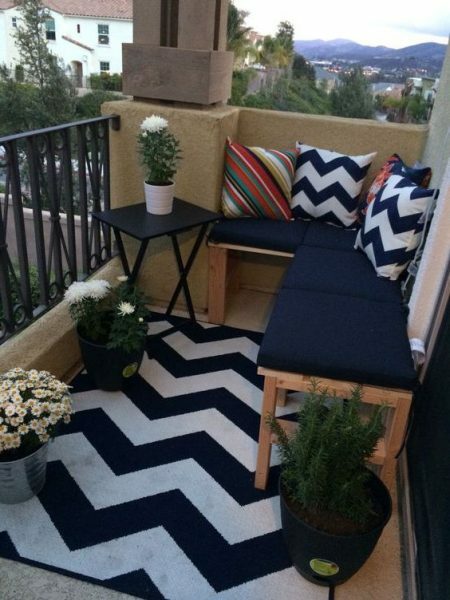 If you’re on a budget, don’t think that good seating options have to be expensive. 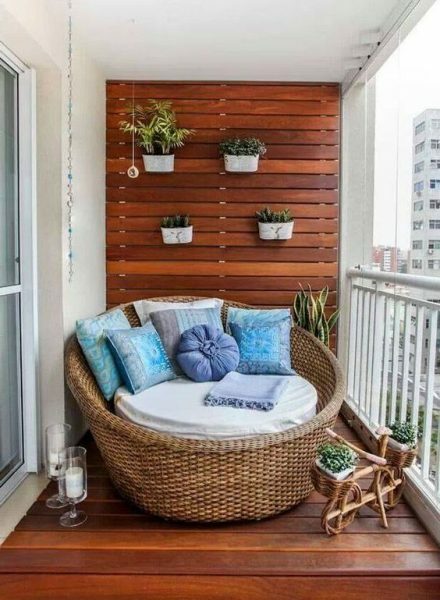 In fact, some of the balcony ideas below is crafted from pallete containers, plywood and reed fencing and you can also play on colorful and bold cushion/seating covers. 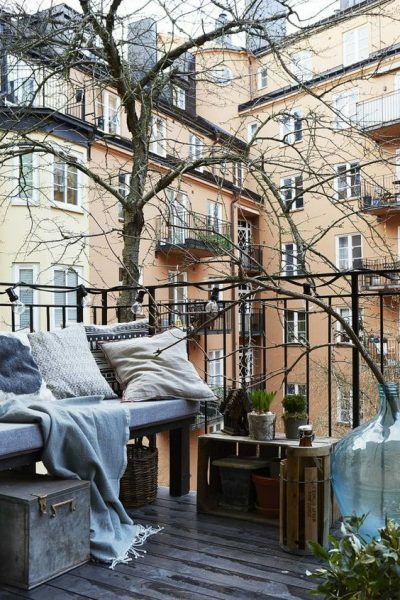 Balcony with rustic furniture. 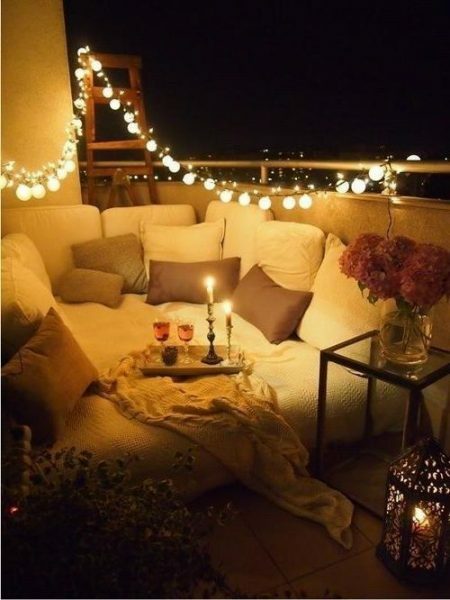 Cheapest solution to decorating your balcony. 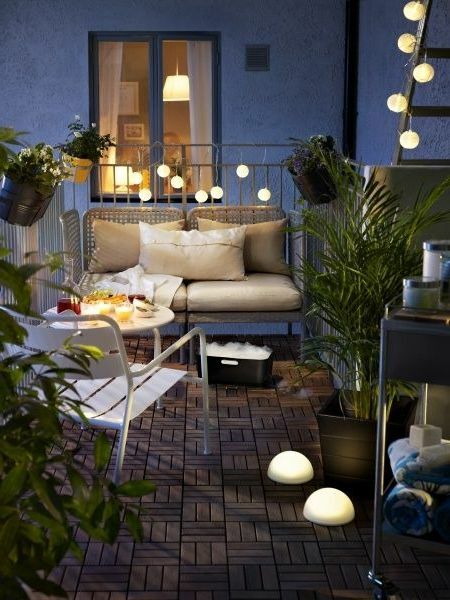 Another way to bring stunning effect into your small balcony are by setting some fairy light and let them illuminated your balcony at night. 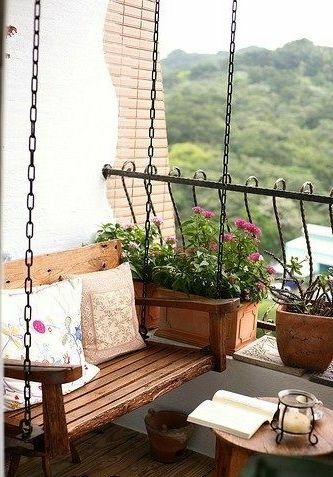 Can you feel a sense of peace from the picture above? 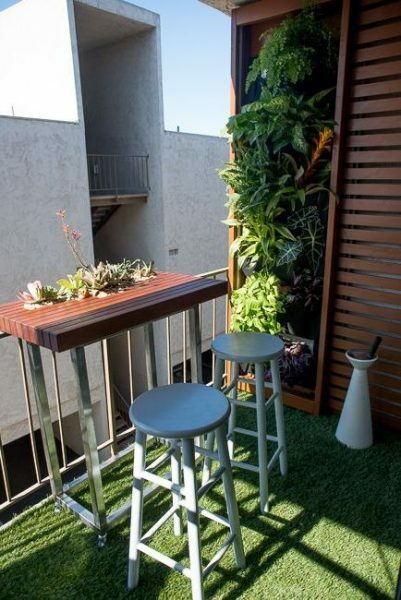 Half table for any spaces. 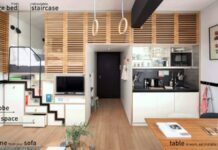 It’s efficiently fill unused spaces and transfrom into functional spaces. 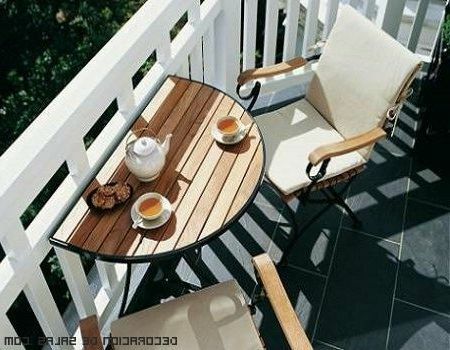 Multi purpose hang in fences table. 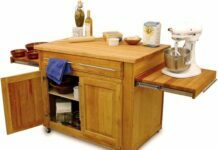 For dining, working space or anything you wanted. 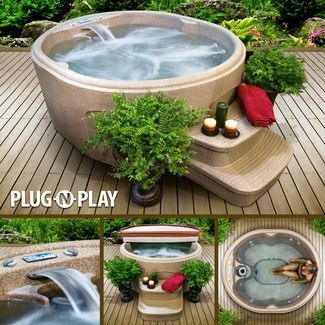 Plug and play jacuzzi. 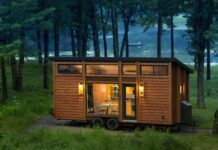 Comes with small dimention and elegant design. 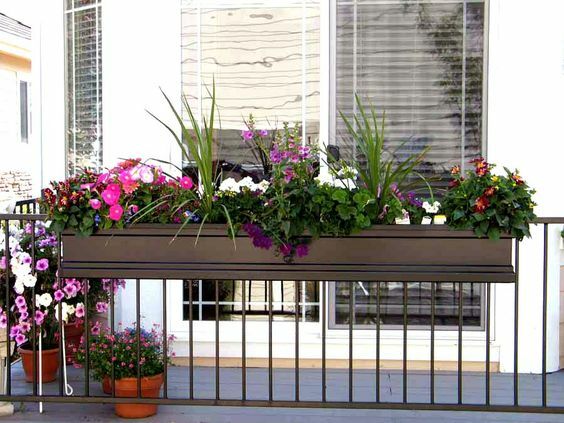 Planting box holder for railing. 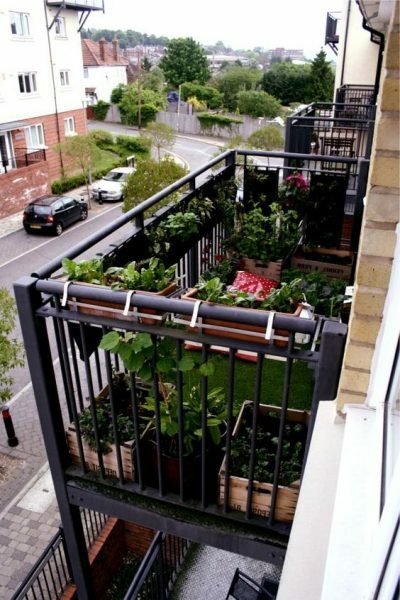 Extra spaces for your garden. 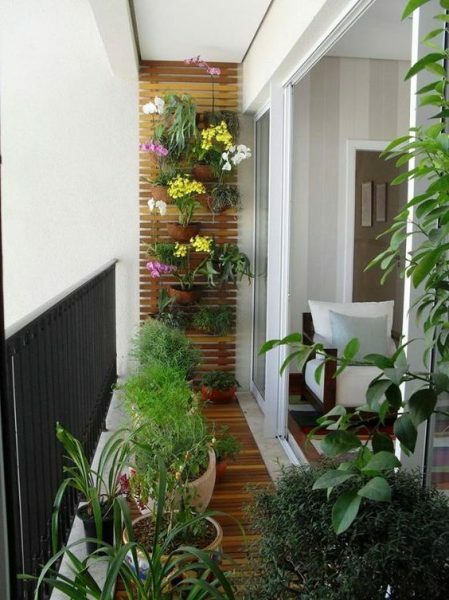 More plant means more fresh air you gor.